The riverbanks north of New Orleans were once heavily populated with slave plantations, with the Mississippi being a source of irrigation for sugar cane and the main export route for produced crops. 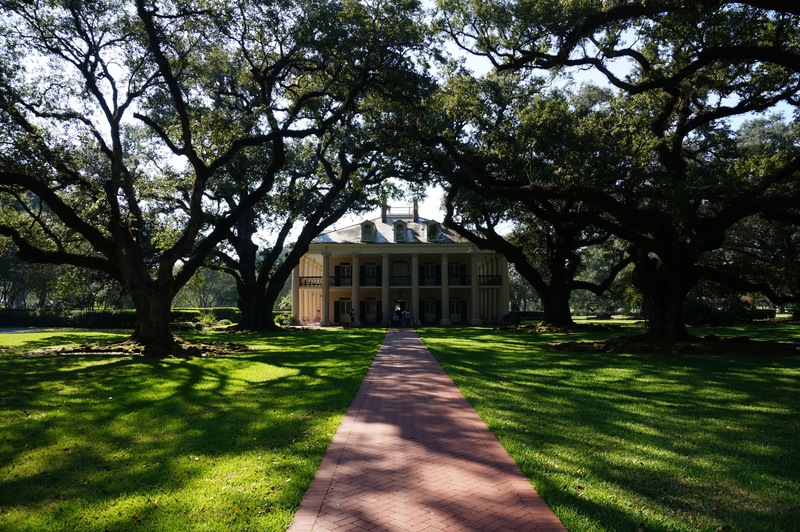 One well-preserved plantation, Oak Alley, has opened its doors to the public. When slavery was abolished after the Confederates were defeated in 1865, Oak Alley, a wealthy sugar plantation, fell on hard times. Family spending continued at pre-Civil War levels and soon the Roman family, wracked in debt, were forced to sell Oak Alley for a fraction of its worth. The house never recovered from years of decay and was soon in a state of disrepair. Bought by the Stewart family in 1925 and painstakingly restored to its former glory, the house was again a family home, before being opened to the public as an not-for-profit educational trust in 1972. 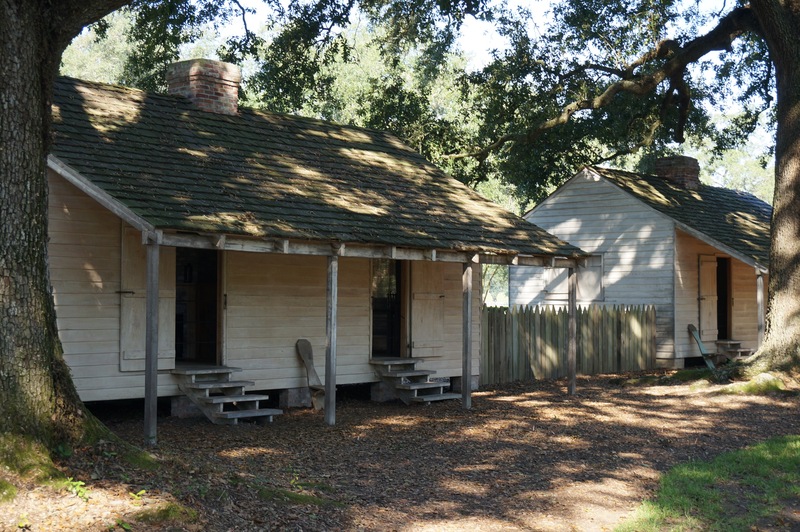 The plantation has an excellent slavery exhibit with replica slave huts, as well as tours of the big house. This provides such a stark contrast; you can’t appreciate the staggering extent of the big house’s wealth without seeing just how the enslaved workers were forced to live in order to generate that wealth. The tour of the big house explained the clever tricks used to cope with the intense heat of southern summers. Doors and windows were built symmetrically at either side of the house so that any breeze coming off from the Mississippi could channel through the rooms. 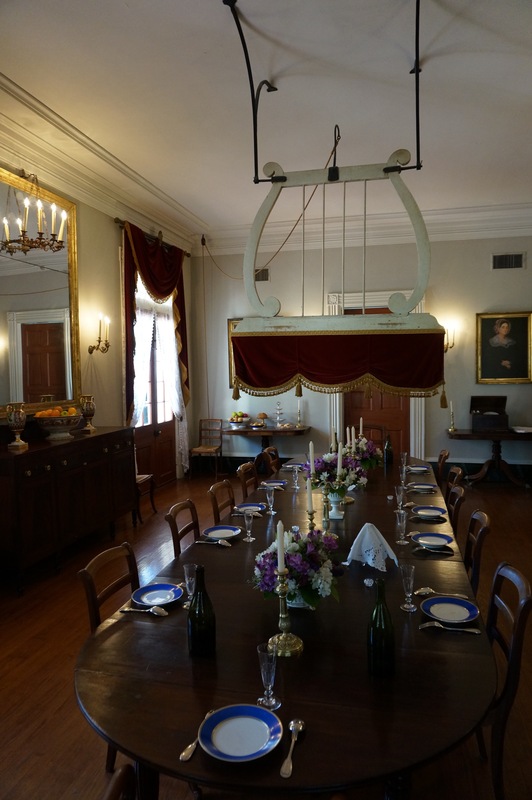 We also saw the fan which was used to keep wealthy guests cool when dining; a slave child had the mind-numbing task of operating a pulley system for as long as the meal took. 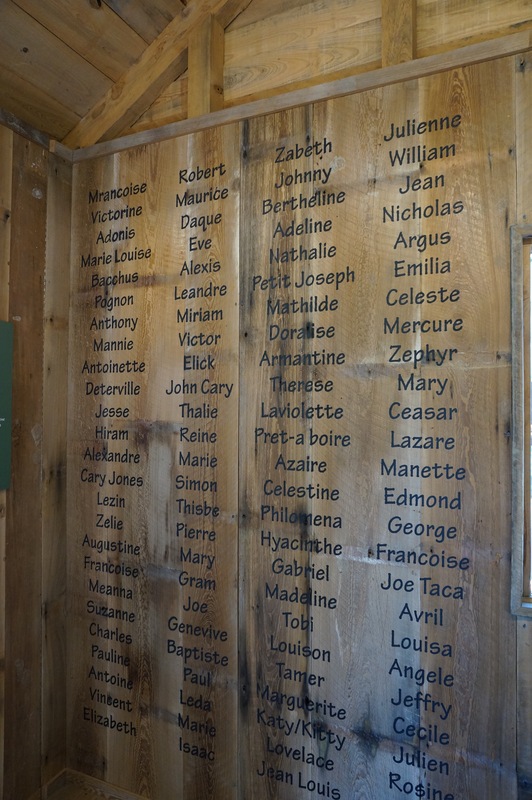 Wormsloe Plantation, which we visited in Savannah, didn’t reference its slave past at all, but slavery is a deeply complex chapter in the story of the South, no matter how uncomfortable a read it may be. Oak Alley has done an excellent job of showing both sides of the story.